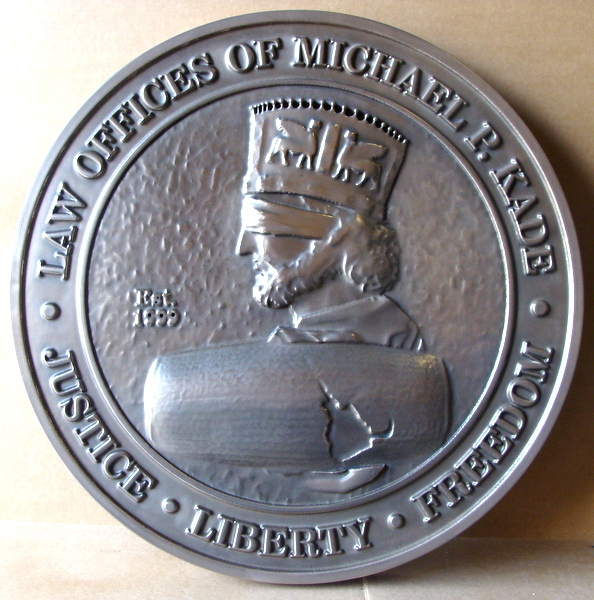 Above is shown a stainless steel-coated 3D carved High-Density-Urethane (HDU) Law Office seal with a bas-relief portrait of Hammarubi. The text and art is stainless steel , with a high polish, and the background is stainless-steel-coated, low polish. This seal is 24 inches in diameter, but can be purchased in any size from 16 inches to 60 inches in diameter. It can also be customized with other text.